Well Now, Who Surprised Who? A pale sun bathed the sparkling white valley in its light, owning up to a clear, pleasantly chilly day. Perfect to be out in, especially if you had the luxury of a natural fur coat. Wintery Petpets was busy with their new shipment just come in and Mr. Chipper was surrounded by his usual entourage, a group of sticky fingered young ones. Up past the shops was a solitary cottage blanketed in what looked like clumps of vanilla ice cream with curious, little windows poking out. In the surrounding sloped yard, a very elegant and lady-like red Kougra was nonchalantly building a bunch of Neopian resembling snow-pets with as much care and solemnity as if she was an artist forming a masterpiece. One last pat on the seventeenth figure, then suddenly her demeanor changed to something wicked and predatory. A telltale look at the Sklyde beside her and they sprang into a brawling frenzy, pouncing and tearing the snow structures apart with growls and giggles. Finally, both lay hot and exhausted in the snow where their 'foes' once stood but were now mere yielding piles. Huge smiles remained on their faces, though the Sklyde's skull grin was a little unnerving. A few hours to build them, only seconds to demolish. A green Kougra across the yard tutted and turned back to his own snow sculpture of a devastatingly handsome, life-size Kougra. His reproval earned him a snowball in the back. “Tigralie! Watch it! You almost made me mess up!” he cried indignantly, glaring over his shoulder at her. She already had adopted an innocent pose, lying back and stroking her petpet's ridged spine as it voiced appreciation with a mix between a click and purr. “I've got to make one that's better than Recklace's.” He gestured impatiently towards a nearby impressive sculpture of Sinsi the Ixi from Shapeshifter. If he had been any younger, he might have stuck his tongue out at it too. “What are you making anyway, AttemianX?” she asked, coming up towards him to get a better look. Her fur was veiled and laced with glittering snowflakes, winking out like stars as they melted. She leaned, her wide-eyed expression the picture of meek inquisitiveness... but he knew better. “A self portrait.” He sniffed, a tad defensively. This sent the other Kougra and her Sklyde in another fit of laughter. “And you missed one,” AttemianX added, more than a little irked, pointing a claw at a snow Weewoo far behind them. “Funny, I don't remember making that one.” Tigralie shrugged and went bounding up to it with the intention of bestowing it with the same fate as her other snow creations; the accompanying Sklyde right behind her. It was when her back was turned that AttemianX smirked impishly. With a flying leap, kicking up a spray of snow beneath her heels, she was in midair when she saw the Snow Weewoo turn around, its eyes shooting wide open in surprise. It was alive?! She twisted to avoid landing on it with a shocked yelp. The Sklyde, however, did not try to change his course and tackled the petpet with relish. Hearing the chirping cries of protest, Tigralie righted herself from her less than graceful thump in the fresh, deep snow, and flicked her Sklyde away with a firm paw. Grimacing at AttemianX's hearty guffaws of revenge, she faced the Snow Weewoo, her tail twitching in annoyance. “What are you doing here,” she growled, struggling to cover up her embarrassment. 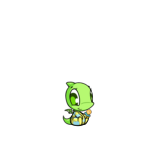 “You do realize you're talking to a petpet, don't you?” AttemianX sauntered up beside her and smiled wide. “Just grab the paper. Can you do that? I doubt it even understands what you're saying.” Tigralie snatched up the newspaper, rolled it up and smacked him with it. The Snow Weewoo, eying the Sklyde most distrustfully, did a hop skip and flew off as fast as it could while they were distracted. Tigralie unrolled the paper and glanced over the Neopian Times, looking pleased with herself and trudging off towards the house, while AttemianX rubbed at his shoulder balefully. “Hey, listen to this quote of the week. 'The key to mastering an art, whether that art is flying or even writing, is repetition. If you do something enough, you will eventually master that art.' Well, we have plenty of snow around, all the time. So you can get lots of practice trying to beat Recklace at the elusive art of snow sculptures.” She badgered him, her tone thick with crippling sarcasm. “That's hardly worth a retort. Oh would you look at that! This is interesting. It says it's now proven that green Kougras are the stupidest of all the Neopians.” Her smile was coy and musing, and his reaction didn't disappoint. “What! No, it doesn't!! You're lying!” He growled as she held the paper aggravatingly out of reach. AttemianX dropped his paws and glowered impressively. So impressively that Tigralie stopped her teasing with the secret wish that she could scowl half so good when the need came for it, though of course acting as if she only stopped because she was already bored. “Hmm, I always see these stories in here. They're fun to read. I wonder if I should write one? ...Might be exciting.” She switched subjects after flipping through the sections. Tigralie rolled her eyes and sat on the door stoop to read through a few stories. “Wouldn't Recklace be surprised if I got published. I'd like to rub that in her Christmas painted face.” He chuckled, going back to his sculpture to tweak it, and yelling in outrage when he saw the Sklyde had clawed its bony way up on top and was gnawing the packed ice ears off. Unbeknownst to them, the mischievous Christmas Ixi was observing the three from inside the house. Writing everything that happened, down to the last words they spoke, on pieces of Hotdog Stationary that belonged to AttemianX. Planning to send it in to the Neopian Times, she could imagine their reactions. Anger might cross their minds, but not as much as the jealousy of not having thought of it first. She meditated on various ideas for a title as she took a sip from her steaming Zafara Hot Chocolate cup. She was the new one in the group, but she'd show she could hold her own. Her prank playing housemates wouldn't know what hit 'em. The painted pet smirked as she remembered what AttemianX said. “Wouldn't Recklace be surprised...”. Well now, who surprised who? "MOM! I'M STARVING!" Celestile cried in her highest pitched voice.